Divorce! wants you to use lawyers, plant evidence, and woo approval from your children to win this two player "regret simulator" card game. Divorce! 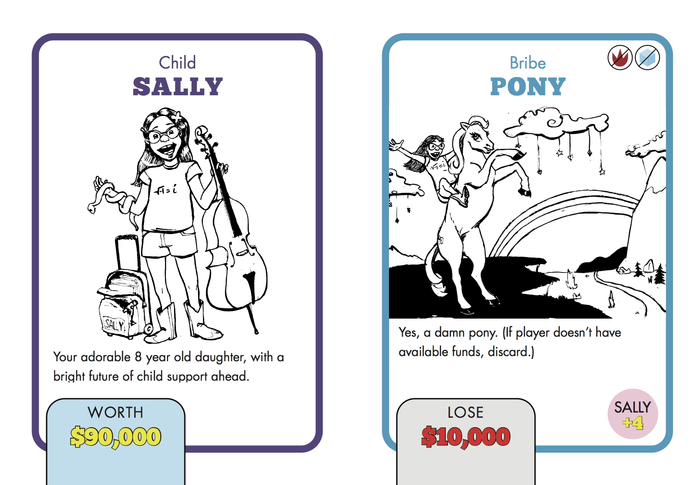 The Game wants to bring the joys of divorce mediation to your card table. The competitive two-player card game is seeking funding on Kickstarter to produce the first run of the game. Launched on August 28 and ending September 20, the campaign has already raised $3,242 of its $5,000 goal. The funds raised will go towards printing and shipping costs, as well as paying artist Anne Baltazar and graphic designer Sunny Nguyen. Creator Andrew Yoon says, "Divorce! 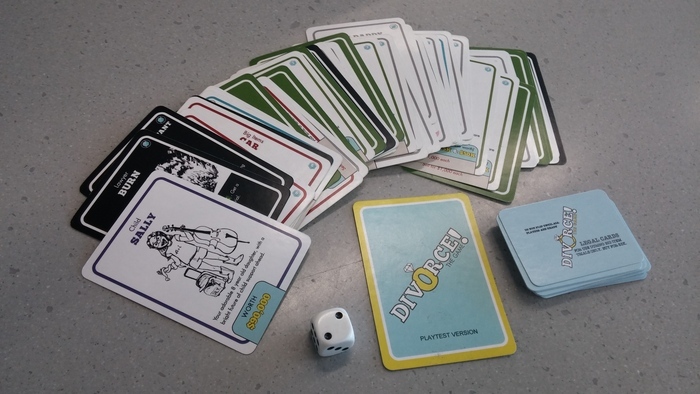 The Game takes everything you love about getting divorced, and turns it into a thirty minute card game." 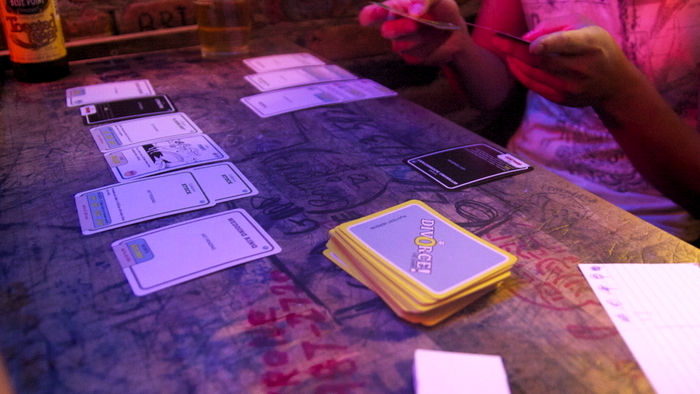 Each turn, players draw two cards, and must decide which card to keep and which to give to the other player. 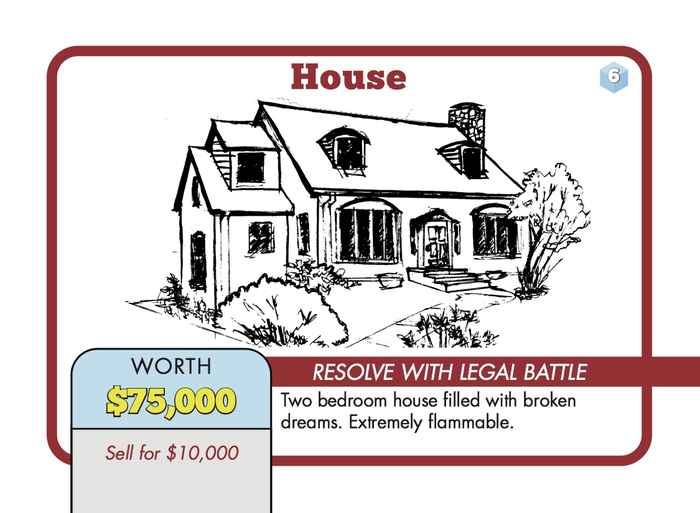 Cards can be assets like houses, cars, and wedding rings, all of which have a monetary value. 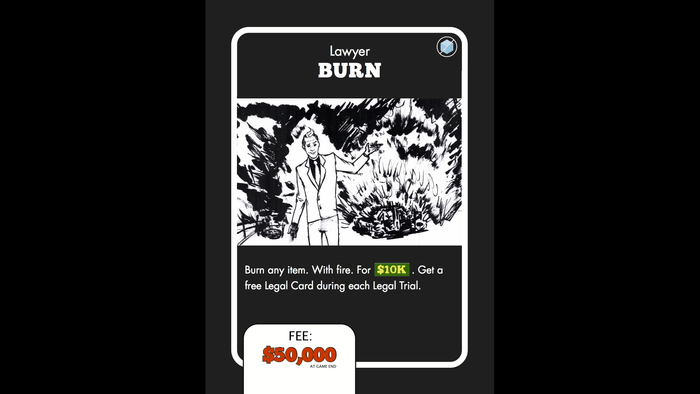 Other cards, like lawyers, children, and Tax Fraud, grant special powers or help you win legal battles. The player with the most valuable assets at the end of the game wins. "At the end of the game, you're probably going to regret a decision you've made," says Yoon. "That's why we like to call our game a 'regret simulator'." "There's something about getting divorced that really brings out the worst in people. No matter who you play against, the game is designed so that you're going to screw someone over," says Yoon. Jon Bolding, The Escapist's Tabletop Games Editor, got a look at the game at PAX Prime. He says, "Divorce! is a darkly hilarious, vaguely offensive game with a satirical premise and laugh-a-minute atmosphere. It's akin to games like Gloom or Munchkin." Divorce! The Game on Kickstarter. The campaign has one stated stretch goal. If $10,000 is raised, play mats will be added to the game to guide players on how to arrange their hands, and custom sliders will be added for tracking which parent is more loved by the children. Once the physical version of the card game has been produced and shipped to backers, a print-and-play version of the game will be made available for purchase, including all of the art produced for the game. Divorce! is targeting a January 2015 launch. Divorce! is Andrew Yoon's first tabletop game. He previously worked as Editor in Chief of Shacknews, East Coast Editor of Joystiq, and Lead Editor of PlayStation Fanboy. He will be touring Los Angeles, San Francisco, Washington DC, and New York in the coming weeks with Divorce! The Game.